To evaluate the efficacy of the 7000 series and the Plasma BAR in reducing airborne bacteria: Escherichia coli and Staphylococcus aureus (MRSA), mold: Aspergillus niger and Cladosporium cladosporioides, and yeast Candida albicans. An environmental chamber was set up for the testing. A nebulizer was connected to an air compressor with 1/4-inch plastic tubing and to the environmental test chamber through one of the openings. 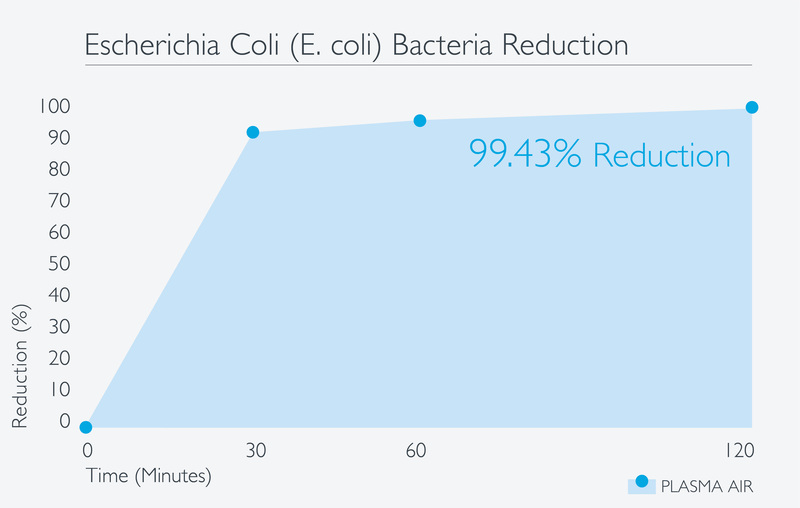 Testing showed a 99.43% reduction of Escherichia coli, an 81.67% reduction of Staphylococcus aureus, a 97.14% reduction of Aspergillus niger, a 97.69% reduction of Candida albios and 36.27% reduction of Cladosporium cladospoioides.